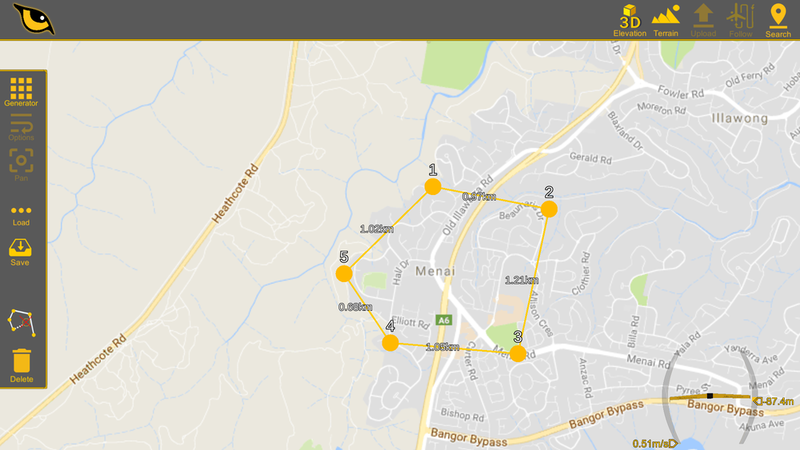 Telstra and Transurban teamed up with Firetail to develop a range of on road robotic solutions to help contribute to road worker safety on the job. 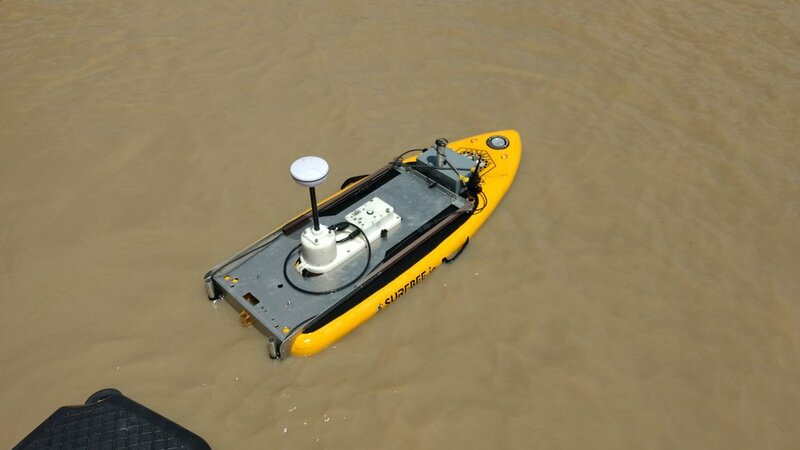 You know how It can be extremely difficult to carry out a marine survey with equipment that is expensive, not easily carried or operated, Well, what we did was develop a marine survey robot that is low cost and can be backpacked and transported anywhere in the world. In fact, our unmanned surface vessels Firetail autopilot was a winner of the Pacific Humanitarian Challenge in 2016 awarded by the Australian Government. We are very happy to announce our new Firetail Wing we have dubbed V2. This wing was designed using our Human Centred Design process which in turn created a smaller, faster and cooler looking aerial robot with a front mounted prop for safety and better authority over the control surfaces at low speed. 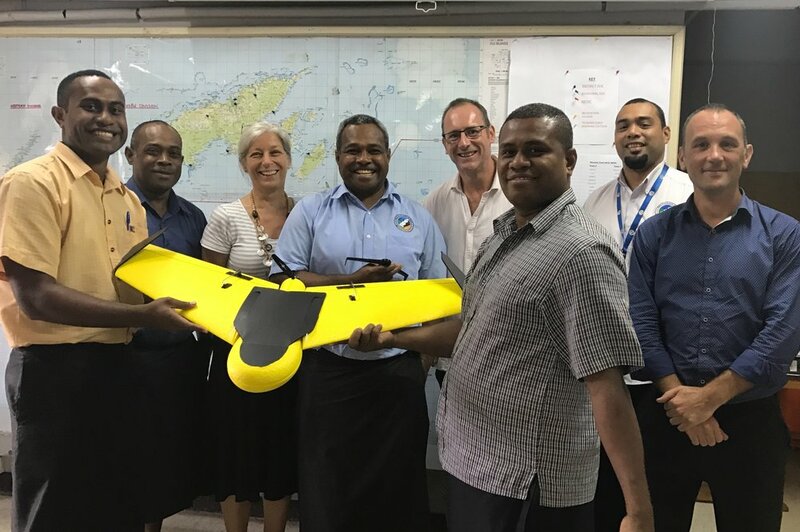 The ‘Firetail’ aerial robot demonstrated its capabilities producing real-time maps to the Australian High Commissioner Jenny Da Rin and National Disaster Management Office (NDMO) Vanuatu. The Firetail team met with NDMO Director Akapusi Tuifagalele (Tui) and the team in Suva Fiji to discuss trials starting in June 2017. Ray Bojczuk from DFAT Post Fiji was on hand to guide Firetail around Fiji during our visit. Firetail chose Vanuatu as one of its pilot sites and visited Port Vila from 17 – 23 Sep 2016 to familiarise the team with Vanuatu and meet key stakeholders, in particular the Vanuatu Government’s National Disaster Management Office (NDMO), DFAT in Port Vila and World Vision Vanuatu (WVV). This involved flying the drone in Vanuatu airspace and the necessary approvals required. Firetail presented to World Vision Vanuatu staff on Wed 21 September in Port Vila and to Vanuatu Humanitarian Team on Thu 22 September, also in Port Vila. At these presentations the Firetail team answered a range of questions which provided insights to ensure the design accommodates cultural considerations and local conditions. This is some of the most unique footage ever captured from a UAV (Drone) inside a volcano. Firetail Australia would like to thank World Vision Australia and Vanuatu as well as NDMO Vanuatu, DFAT Australia, Innovation Exchange Australia and CAA Vanuatu for this unique opportunity.